When you spend time getting more involved in understanding bruxism disorder, why it’s bad for your smile, how to know it’s there, and what to do about it, your experience can go one of two ways: You try to figure it all out on your own and you get a little bit confused. Or, you come to us for the easy, streamlined explanation you really need in order to protect your oral health. We strongly encourage the latter! To get started, get the basics down as our Ankeny, IA practice offers a simple, categorized approach to the specifics. Now, remember that damage may occur and that this is very likely if you deal with bruxism disorder that is not treated for some time. 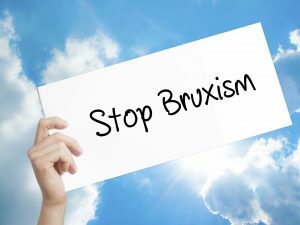 Start by thinking about the movements that are played out with bruxism. You may grind, which means dragging teeth back and forth across one another. Or, you may clench, which means forcing teeth together with a lot of pressure. In either case, you’re placing your teeth at risk of damage (such as fractures, chips, breaks, and more) and your jaw joints at risk of stress. If you discover that you are dealing with bruxism disorder, remember that following through with bruxism treatment is a breeze, it is clearly very important, and you’ll enjoy relief from many symptoms (such as discomfort) as you continue on with it. What is treatment, you wonder? It’s very simple. You wear a mouthguard when you sleep. It cushions teeth and keeps your jaw from moving. It’s easy and comfortable and it works! Don’t wait any longer if you are suffering from bruxism disorder but have not yet begun to receive treatment. Instead, contact our team as soon as you can, so we may help you avoid damage! Visit us for a dental checkup in Ankeny, IA by contacting Dental Impressions to schedule a visit at (515) 965-0230. Optimal Oral Health: What Is It, How To Get It?